North Sails makes fast and versatile sails for the 5.5 Metre class. Our upwind designs are made out of North Sails exclusive 3Di RAW. 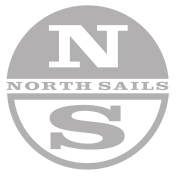 Our experts are available to help you get the most out of your North Sails product offering sound advice, tuning information and expertise. The S-3 Spinnaker is also an all-purpose sail designed to project a large area while having a very fast, stable flying shape. It is designed to the same shape and is the same size as the S-2 Spinnaker, constructed with Superkote 70. This sail excels in the 10-25 knot wind range. The 5.5 Metre S-1 Spinnaker is designed for 0-7 knots of wind, challenging conditions to fly a spinnaker. The sail is 44 sq.m and made with Contender Superlite 40 cloth. The S-1 is ideal for the Swiss Lakes and a must-have for light and lumpy conditions. The S-2 is our all purpose runner . It is designed to project a large area and has a very fast, stable flying shape. The S-2 is 54 sq.m and constructed with Superlite 50. The sail is geared towards a wind range of 5-16 knots. The 5.5 Metre S-4 Spinnaker is designed for very strong winds. The sail is 44 sq.m and constructed from Contender Superkote 75.